Organized cycling tours and races are a fun and challenging way to test your fitness. Rather than the typical trails or parks you’re used to cruising through, you can grind through lung- and leg-busting ascents in wild places. Mountain bike along hard-packed elephant trails in Africa; whiz along on a nimble road bike with the Dolomites as your background; or weave through forested trails in Scotland’s ultimate enduro race. After all, there’s nothing that focuses your mind on training more than knowing you’ve signed up for a big ride. We’ve assembled a list of some of the most epic events around the globe. Though all of these will test even the most experienced cyclists, most rides also include shorter options designed for first-timers. The most popular events sell out, so you’ll want to register early. In its sixteenth edition this year, the Cape Epic runs eight days through the scenic Western Cape region of Africa. Gravel roads, technical terrain, strenuous descents, and wild, beautiful scenery await riders. The course length varies, but, typically, the event features 700 kilometers (435 miles) of riding with a leg-busting 15,000 meters (49,000 feet) of climbing. Riders compete in teams of two, and the event attracts everyone from top-level professionals to adventure-seeking amateurs. The Cape Epic is fully supported with meals and a mobile race village. Explore the African backcountry with the Nedbank Tour de Tuli. Running four days, this year’s tour begins in Mapungubwe National Park in South Africa, bringing riders through Zimbabwe and Botswana, stopping at a different camp each night. Every day features 60 to 80 kilometers (35-60 miles) of riding against a backdrop of elephants, high mountains, and African savanna. The event is fully supported with tent accommodations and all meals are provided by the organizers. Perhaps best of all, the Nedbank Tour de Tuli benefits Children in the Wilderness, an African non-profit focused on conservation and youth education. If you dream of climbing big mountain passes, Italy’s Maratona dies Dolomiti is the ride for you. 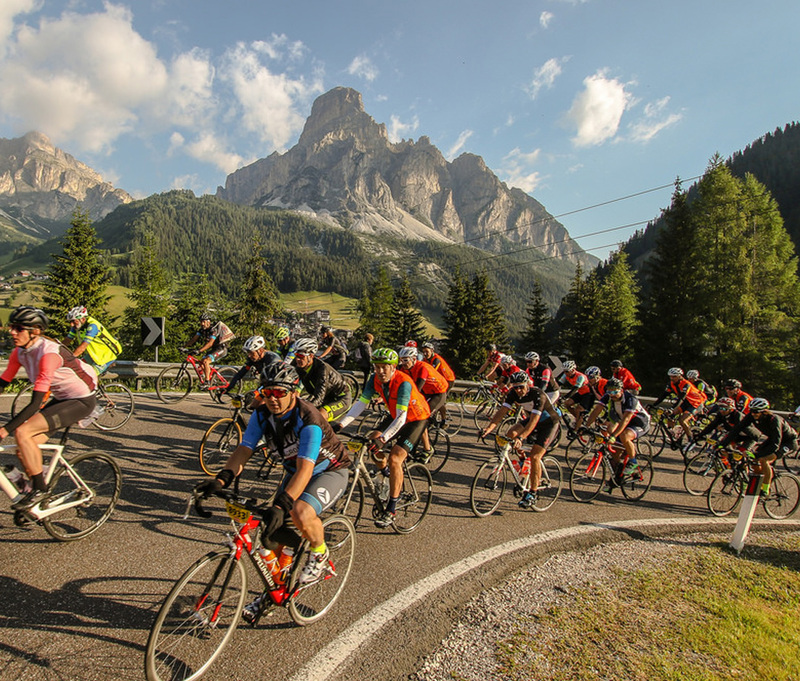 It’s one of Italy’s famed gran fondo events, and is open to riders of all levels, hosting as many as 9,000 participants each year. The route is designed to allow riders to decide during the event which of the three courses they want to complete. For 2019, the long course runs 138 kilometers (86 miles) and includes six major climbs: Passo Pordoi, Passo Sella, Passo Gardenia, Passo Campolongo, Passo Giau, and the Passo Valparola. The Maratona takes place on closed roads and food stations along the route are stocked with locally produced snacks of all kinds. One of cycling’s more unique events, Grinduro combines the format of a mountain bike enduro race with a gravel ride. Grinduro Scotland takes place on the picturesque Isle of Arran. Historic ruins, a rugged coastline, and dizzying peaks provide the perfect backdrop for the 83 kilometer course, as you cycle over forest roads and singletrack trails. Epic views and a visit to Broderick Castle reward the day’s efforts to boot. There are four timed sections throughout the route with prizes for the riders with the fastest times. It’s all wrapped up in a party vibe that includes two days of live music, food, and an art show. This one’s for the climbers. The famed Death Ride features five mountain passes in California’s Sierra Nevada. The ride begins in Markleeville at 5,500 feet above sea level and climbs Monitor, Ebbetts, and Carson passes. Though the full route includes all five, riders can choose to do fewer climbs for a shorter day in the saddle. The Death Ride offers a rare chance to pedal through beautiful Sierra scenery on roads that are closed to car traffic for the event. There are water and nutrition stops throughout the day, and there’s even a post-ride barbecue event in Markleeville on Saturday evening. 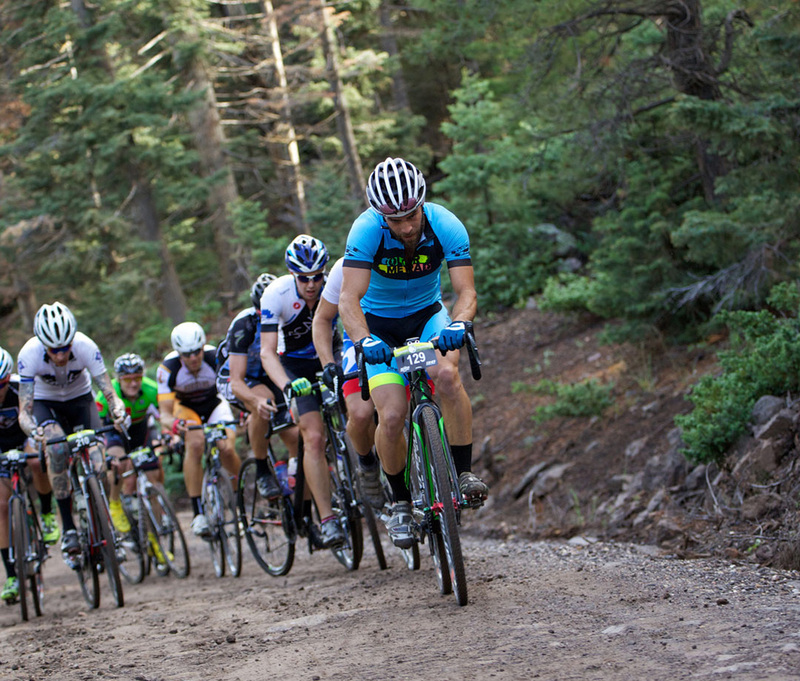 A unique on- and off-road event, the Crusher in the Tushar serves up 10,000 feet of high-altitude climbing. The course winds through remote terrain, including Utah’s Tushar mountain range and the Fishlake National Forest. The race starts in historic Beaver, the birthplace of “Butch Cassidy”, and features a high-altitude finish at the Eagle Point summer and ski resort. The unique mix of pavement and dirt riding makes choosing the right bike a challenge, though, because both mountain and gravel bikes have their advantages out on the course. Each year, the Tour de France hosts L’Étape du Tour, providing amateur riders the opportunity to experience a stage of the Tour de France. 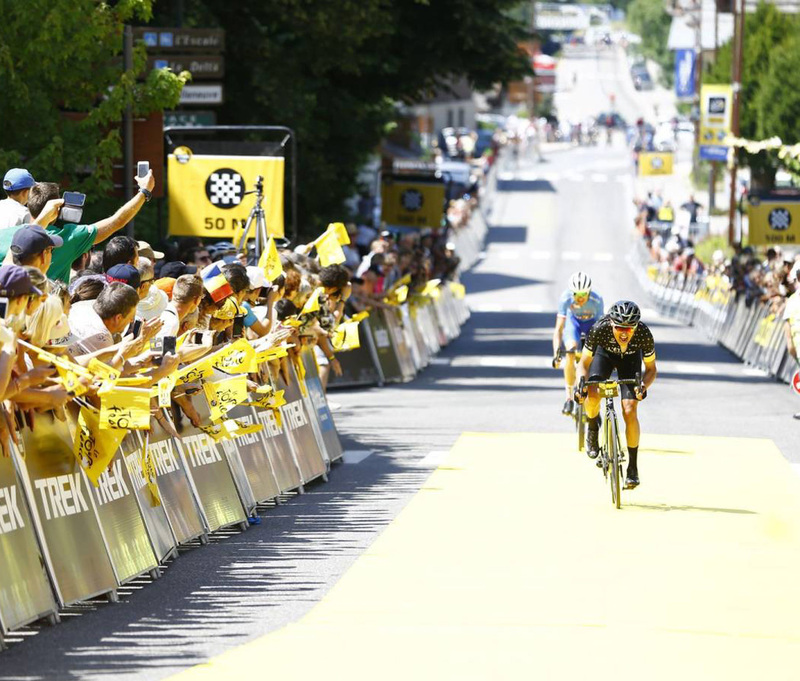 Traditionally, L’Étape is a mountain stage and the 2019 edition is no different. Running 135 kilometers (84 miles) from Albertville to Val Thorens, it includes three significant climbs—Cormet de Roseland, Côte de Longefoy, and Val Thorens. In fact, the final 36 kilometers (22 miles) are all uphill. There are awards for the fastest finishers, but L’Étape is open to all abilities; this year they’ll host 15,000 riders. You’ll want to register early, because the event sells out every time. 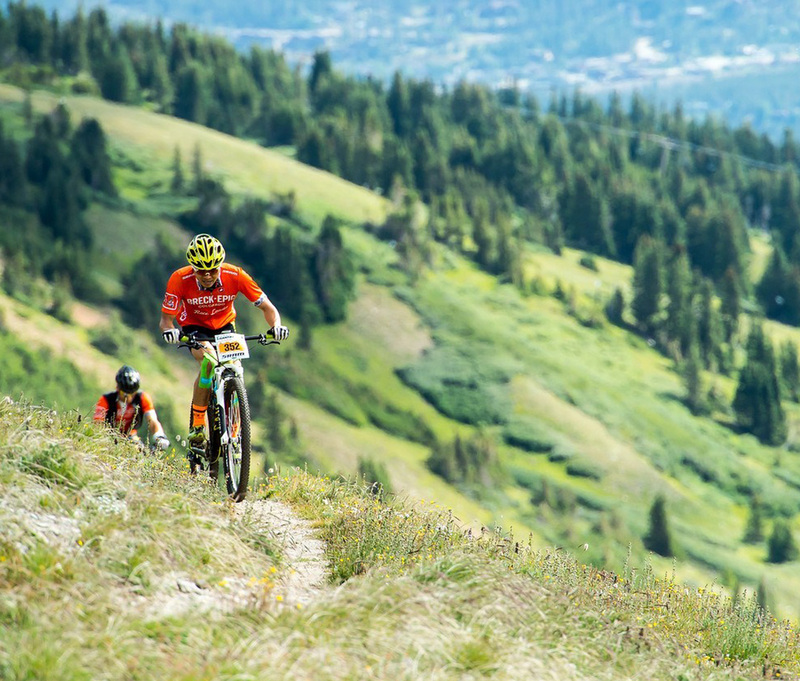 A high-altitude romp around Breckenridge, Colorado, the Breck Epic is a six-day mountain bike stage race. Each day’s course runs between 35 and 50 miles and takes riders into mindbogglingly beautiful backcountry terrain. Long climbs, technical descents, and exposed ridgelines are all part of the adventure. The race organizers provide aid stations and a drop service that allows riders to have their own bags waiting at each stop. There are also bike service plans available to keep your bike running for all six days of the Epic. If six days sounds intriguing, but maybe a little too much, check out the three-day Epic-curious events. Sun Valley, Idaho, is home to amazing backcountry off-road riding and the perfect playground for both gravel and mountain bike riders. 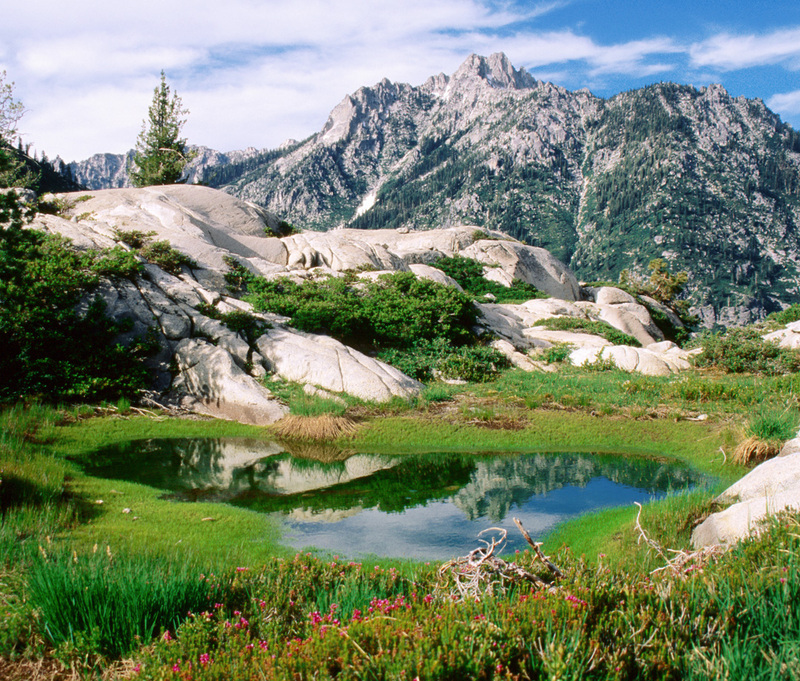 Rebecca’s Private Idaho offers the chance to explore 100 miles of scenic and difficult terrain. The course includes close to 5,000 feet of climbing and provides panoramic views of the Pioneer Mountains. Romp though washboarded descents and challenge your legs on long, grinding climbs. A post-ride festival and celebration await at the finish in Sun Valley. A portion of the event’s proceeds go to local bike advocacy and trail-building organizations. Phil’s Cookie Fondo offers two days of classic coastal California riding around beautiful Malibu. Choose from two short, climbing-intensive rides on Saturday as a warmup for the main event on Sunday. The signature event is Sunday’s Chocolate Chip ride, which includes four significant climbs in the Santa Monica mountains for a total elevation gain of close to 8,500 feet. There are also two shorter options for riders who want to enjoy a fun day out in the California sun, without the suffering. Phil’s Cookie Fondo benefits Chef’s Cycle and No Kid Hungry, and entry includes post-ride gourmet meals on Saturday and Sunday.